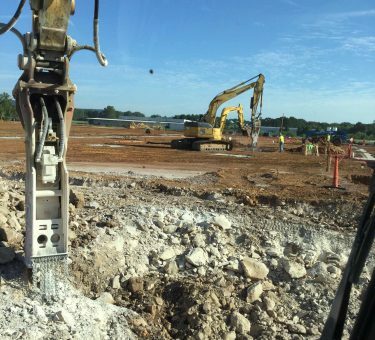 Grading Contractors | Kuesel Excavating Co.
As a grading contractor, Kuesel understands each project should start with a great foundation, which is exactly what grading is: creating the foundation for the project from which everything is built. 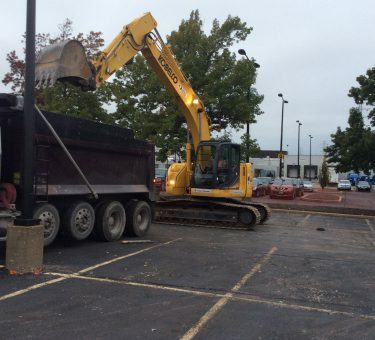 Kuesel Excavating Co. is a Midwest grading contractor working with commercial and governmental contractors to provide tailored grading services, continually aiming to keep construction projects on time and on budget. Kuesel utilizes Agtek 4D takeoff software on nearly all of its projects today, granting the capabilities to tackle large grading projects while continuing to maintain the smaller ones. This technology enhances project efficiency, improves accuracy and prevents increased budget expenses through the use of manual robotics such as rover systems, laser level visual control & company-wide machine control. 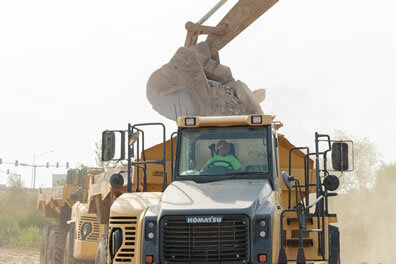 As a grading contractor with over six decades of experience and an impressively large staff of operating engineers, laborers, project managers and field supervisors, Kuesel maintains an excellent reputation for providing high-quality grading services, great customer service and reliable industry expertise. Using the right tools for any job is essential for productivity and accuracy. 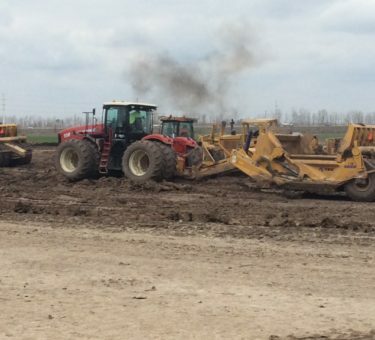 Kuesel utilizes John Deere GPS Dozers, Komatsu GPS Dozers and Caterpillar GPS Motor Graders to tackle grading projects of all types and sizes. 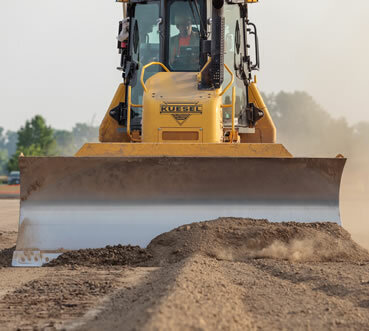 Kuesel Excavating Co. stands out in the industry as a complete turnkey operation and fleet with an impressive ability to tailor grading services to each individual project. Through working directly with the client and project members to estimate project scope and establish key phases, the experts at Kuesel are able to determine the best possible grading solutions on a case-by-case basis. 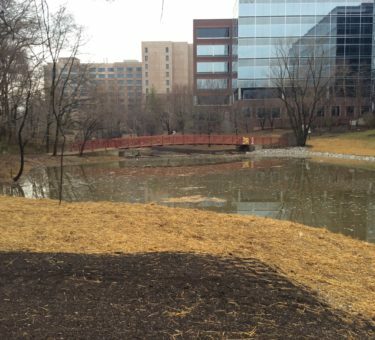 Kuesel’s team is the first on site once construction begins, performing necessary preliminary services such as clearing and erosion control. Before leaving the job site, the engineers and crews at Kuesel perform all necessary rough and fine grading procedures to ensure timely progression for all future project phases. Our capabilities include paperless downloading take-offs and generation of estimates.